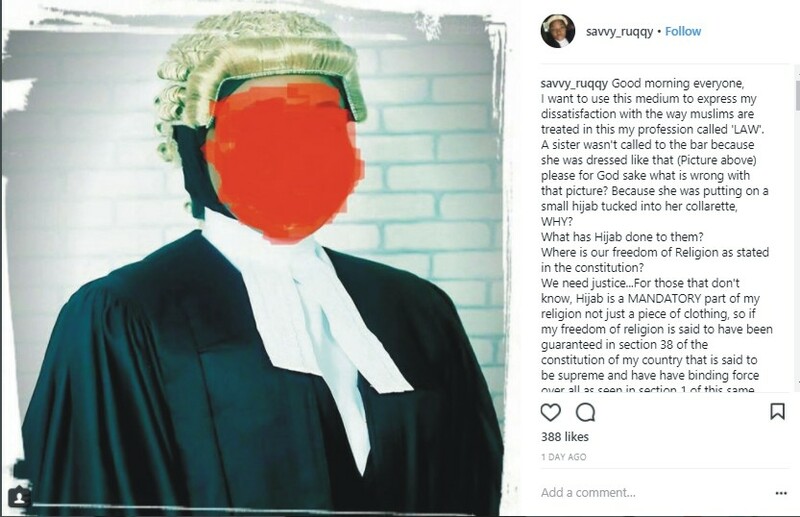 I can't confirm the authenticity of this information as at now but it came from a reliable source owning to the fact that the social media user Ruqayah Atinuke RAHMON with the Instagram username @savvy_ruqqy is a lawyer and she shared this information alleging that a certain lady was denied a call to Nigeria Law Bar because of wearing of Muslim Hijab. What has Hijab done to them? Where is our freedom of Religion as stated in the constitution? We need justice…For those that don’t know, Hijab is a MANDATORY part of my religion not just a piece of clothing, so if my freedom of religion is said to have been guaranteed in section 38 of the constitution of my country that is said to be supreme and have have binding force over all as seen in section 1 of this same constitution and Section 42 of this same constitution guarantees my right to freedom from discrimination. Please for God sake what is this then and before you come here attack me, please read section 38 (1) and section 1 (1) first and also go ahead to read S1 (3) of this same constitution with an unbiased mind where it is said that if any other law is inconsistent with the provisions of this constitution this constitution shall prevail…B’iko what are we now talking about? Has this religious and ethnicity bigotry gotten to this extent? 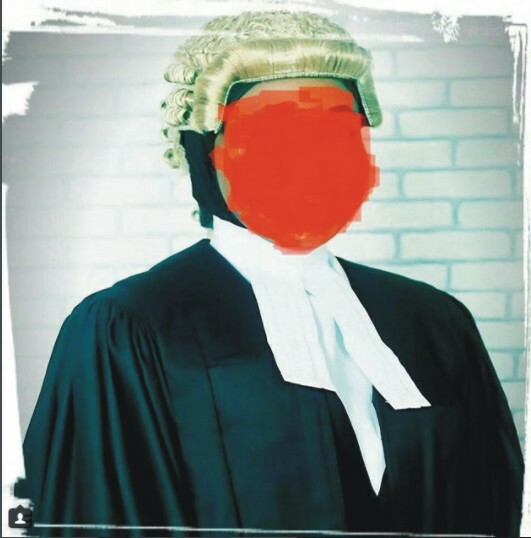 We expect the Nigeria Bar Association to respond to this accusation as soon as possible. One cannot be denied his right because of his religions believes and alliance.